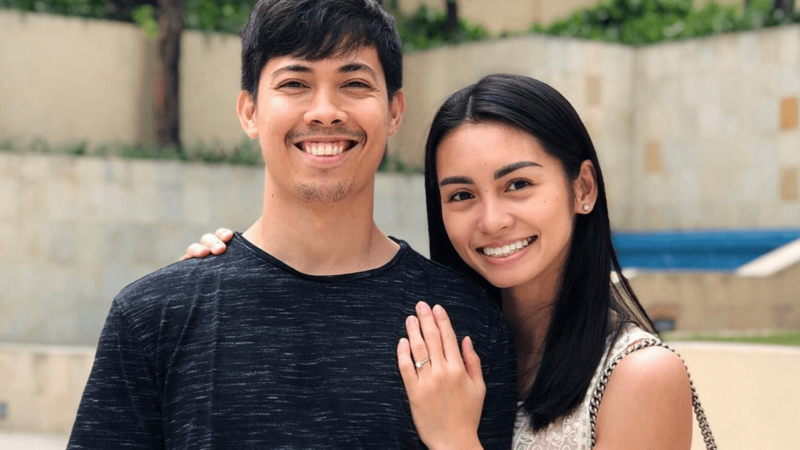 Volleyball player Dennise Lazaro took to Instagram to share the news of her engagement to basketball player, LA Revilla. Dennise and LA have been a couple for five years. On March 22, 2014, LA famously announced on Twitter that he was going to ask a girl to be his girlfriend. Dennise is currently a member of the Philippine National Team and has recently signed on with the Petron Blaze Spikers, while LA is part of the Phoenix Pulse Fuel Masters of the Philippine Basketball Association.